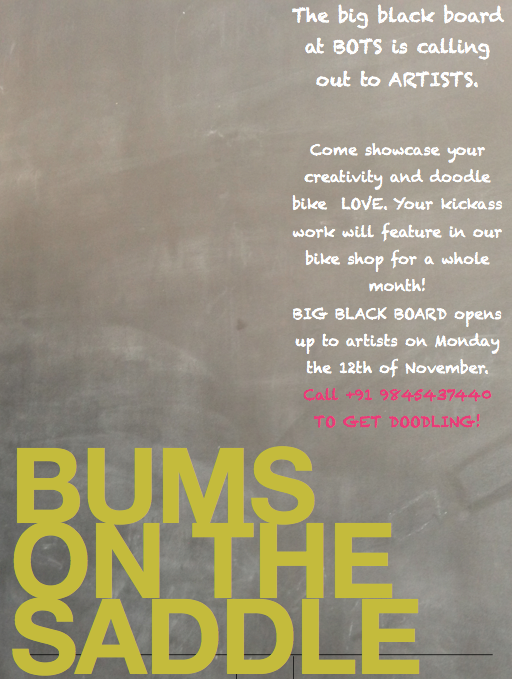 Unleash YOUR creativity on the BIGASS BLACK BOARD at BumsOnTheSaddle! We love creativity. And cycling. And having fun everyday! The BIGASS BLACKBOARD at BumsOnTheSaddle has been a core BOTS touch and something we absolutely love. It has allowed us to express ourselves (and a few lucky kids) over the last 2 years! Folks have loved it, taken pictures of it, doodled on it, stared at it, learnt from it and hopefully copied it! And now we would love for it to be YOUR space. 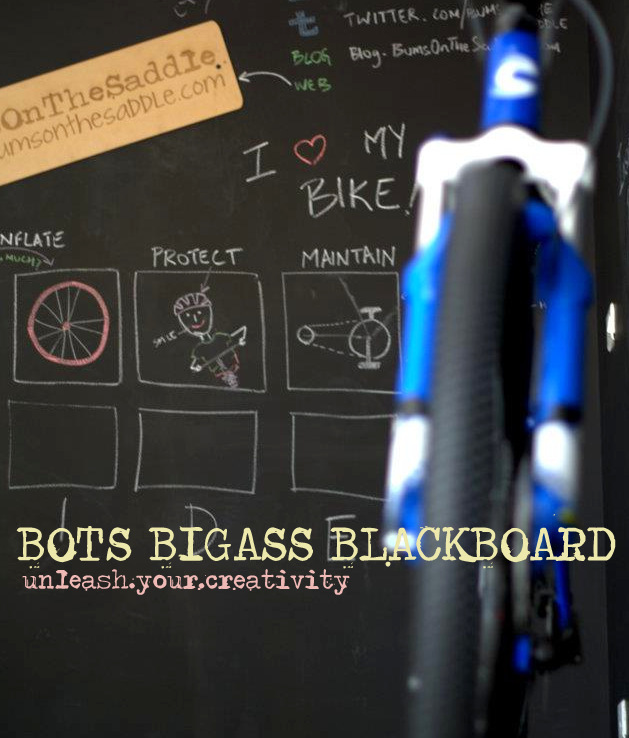 We intend to open up the bigass blackboard wall for folks who would like to showoff their creativity and share it with the rest of the cycling world!